A unique Jewish perspective on the book of Daniel that sheds new light on the events of Revelation, from Israel to Messianic prophecy. 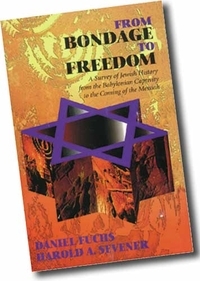 This book explores the three subdivisions of Jewish history; the era of promise - from Abraham to David; the era of failure - from David to the Babylonian exile; and the preparation for the Messiah - from the exile to the Messiah. Do you have questions about the meaning of life and spirituality? Maybe it is time to go right to the source and rethink your relationship with the Creator? 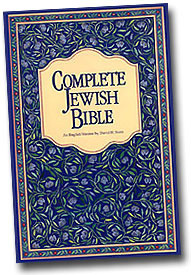 Presenting the Word of God as a unified Jewish book, the Complete Jewish Bible is a translation for Jews and non-Jews alike. 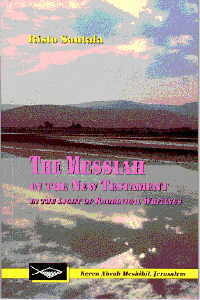 The Jewish New Testament Commentary deals with "Jewish issues" that confront readers of the New Testament --questions Jews have about Yeshua (Jesus), the New Testament and Christianity; questions Christians have about Judaism and the Jewish roots of their faith; and questions Messianic Jews have about being both Jewish and Messianic. It is a companion volume to the Jewish New Testament, Stern's translation from the original Greek into English in a way that brings out its essential Jewishness. Richard Harvey, himself a Messianic Jew, maps the diverse theological terrain of this young movement. He makes an original and innovative contribution by clarifying, affirming and constructively critiquing the present state of its theology. 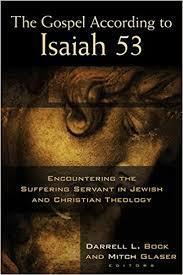 The book examines five topics of theological concern: God's nature, activity and attributes (can the one God of Israel and the Christian Trinity be the same?) 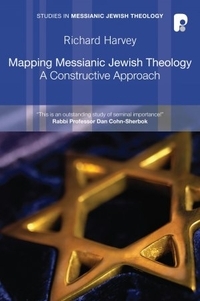 The Messiah (Messianic Jewish Christologies) Torah in theory (the meaning and interpretation of the Torah in the light of Jesus) Torah in practice (Messianic practice of Sabbath, food laws and Passover) Eschatology (the diverse models employed within the movement to describe the future of Israel). In the book The Ancient Scriptures for the Modern Jew, David Baron explains the Messiahship of Jesus from the Old Testament. From the very first chapter - "What think ye of Christ?" - Baron delves into the Scriptures as well as giving his personal testimony of how he came to know the Lord Jesus. 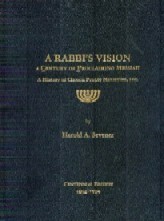 Amongst other subjects in the book, Baron deals with the Messiahship of Christ, stands firmly for the deity of Christ, touches on some rabbinic interpretations of certain passages, explains the Hebrew where important, and deals also with Messianic prophecies of future events (Baron believes in a literal millennial reign of Christ). David Baron stands firmly for Jesus, for the cross, and for Israel. 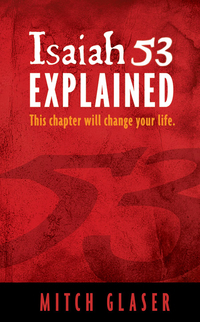 This book is important for believers and non-believers alike - its content will teach vital and basic truths to both. 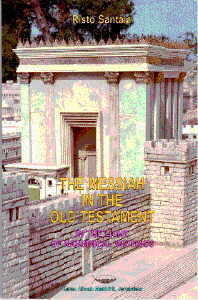 This book is a sequel to Santala's first book, The Messiah in the Old Testament - we recommend reading it first. This next volume examines the life of Jesus and the words of the Gospels as to how they would have been understood in an ancient rabbinic context, focusing especially on Jesus’ identity as the Messiah. It also discusses Jesus words and ministry in light of other Jewish teachings of the time. What were the expectations that the ancient rabbis had of the coming Messiah from reading their Scriptures, our Old Testament? Modern Judaism has tended to downplay the subject because of its unfriendly relationship with Christianity. But reading the most ancient sources and understanding the differences between Jewish and Christian interpretation methods can shed light on how the rabbis saw the Scriptures pointing to the Messiah. 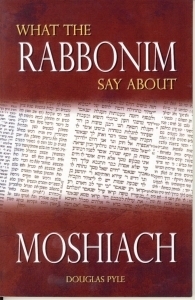 Author: Douglas Pyle....AN EXCELLENT NEW MESSIANIC JEWISH RESOURCE FOR THE SERIOUS STUDENT This present volume is a setting down of principal rabbinic texts as have been traditionally and historically understood to present a picture of Moshiach and his work by some of the foremost exponents of rabbinical Judaism. 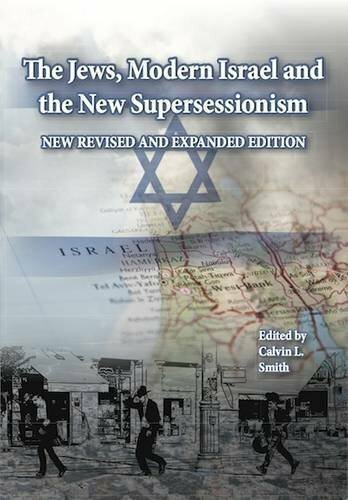 Every age of Jewish crises has precipitated a renewed interest in messianic expectation. Our own age of impending and mounting crises will undoubtedly result in the same. It behooves us, therefore, to examine the core of their ideas to be ready for this soon-coming time (soft cover).